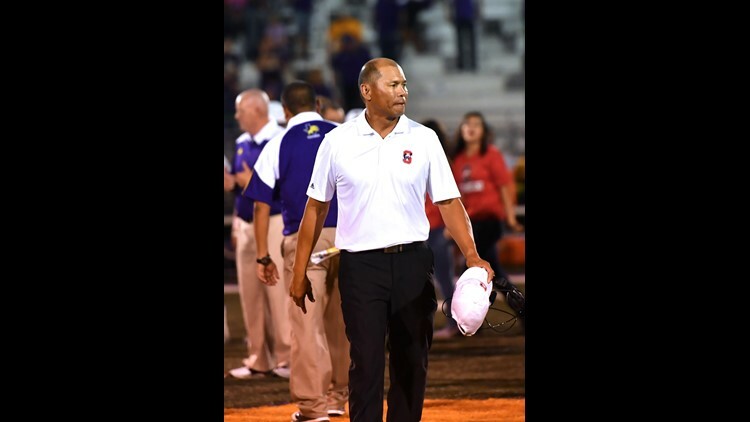 SONORA, Texas — At a school board meeting Wednesday, Sonora head football coach and Athletic Director Jeff Cordell resigned from his post. Coach Cordell spent the previous four years with the Broncos. He first joined the team as the defensive coordinator before becoming the head football coach after two seasons. The Broncos sustained the high standards during Coach Cordell's watch. In year one, Sonora went 12-1, won a district championship and an appeared in the Class 3A Division II regional semifinals. Last season, Sonora shook off a tough start to the season and clinched a spot in the post season for the 10th consecutive year. Overall, Cordell led Sonora to a 17-7 record over his two-year stint. Coach Cordell confirmed to KIDY that he is actively searching for a new coaching opportunity, however hasn't found that next school just yet.